Mitch Evans was nothing but thankful to Panasonic Jaguar Racing after taking his maiden victory at the Rome E-Prix, pleased that he has been able to reward its efforts since joining Formula E.
Evans became embroiled in a titanic battle with the DS Techeetah of Andre Lotterer for the lead of the race, ultimately making the race-deciding overtake with a robust but fair move into the chicane of turns 11 and 12. 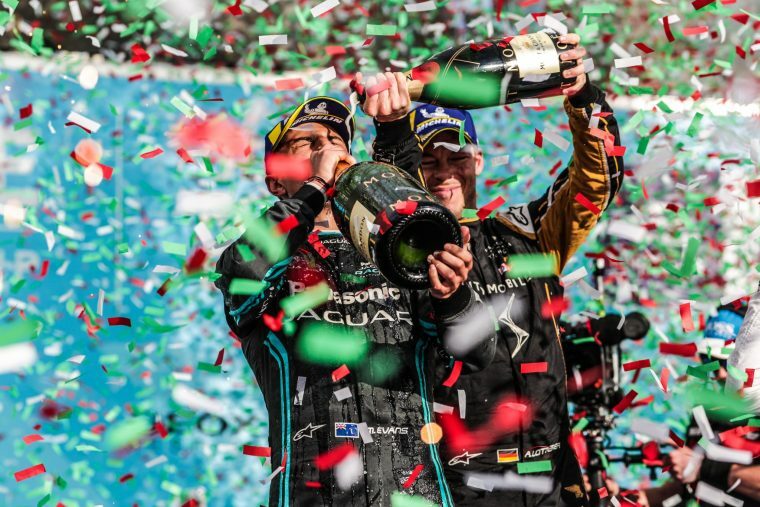 Following on from his triumph he paid tribute to the team and highlighted the incredible job in making Panasonic Jaguar Racing a winning outfit. “It’s huge, it’s been a tough couple of races and a testing couple of years since we started the team,” said the Kiwi. “To reward them with this is huge, they came in at the perfect time and were hoping for it to happen earlier, but sometimes when it’s so competitive it’s not easy to make happen, but the guys have done an amazing job. 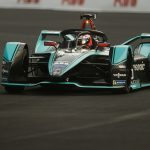 Evans found the race tough as he battled with Lotterer but felt good pace in the car and was pleased with his race-winning overtake in a place which he never would have thought as an overtaking opportunity. “It was was a tough race but I felt really good speed from the first lap. 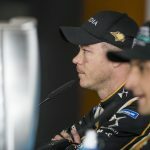 Once we settled down I was 2% up on Andre [Lotterer] I thought we had good pace. I didn’t want to waste the attack modes so I could have some sort of opportunity to pass. I got the overlap which was not really an overtaking opportunity but I got it done. The only flaw in what was otherwise a perfectly executed race came towards the end when the 24-year-old attempted to activate his second attack mode, only to miss the final activation line by a wheel’s width. “That was an extremely stressful moment, I was kicking myself! When you have a car that has a lot of speed you think you’ve still got a chance of salvaging and recovering it. All I had to do was get that second activation, didn’t have to pull away or anything, just for the regulations and when I missed I thought ‘you’re an absolute idiot’. With Evans now up into fourth in the standings, four points behind championship leader Jerome d’Ambrosio, he believes the team has what it takes to fight for the title.